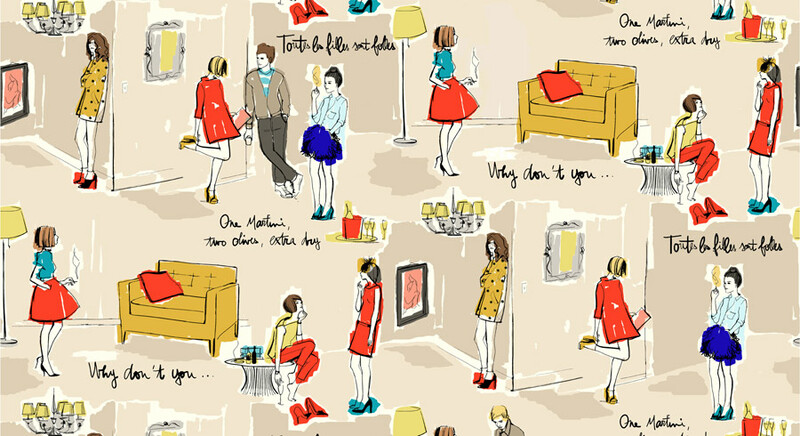 Every piece in Kate Spade’s Fall Ready-to-Wear 2012 Collection is worth splurging for, but being the college student that I am, the closest I’ll ever get to these pieces is visiting Nordstrom on the weekends. From the signature and whimsical printed garments, to the handbags and umbrellas that fashion blogger Garance Dore has designed for this collection, these conversational pieces are only for individuals who likes to make a statement, and are not afraid of the quirky feel that comes along with them. Now even though this collection will not be making an entrance to my wardrobe anytime soon, here are two fabrics that will. Tags: sewing. Bookmark the permalink. 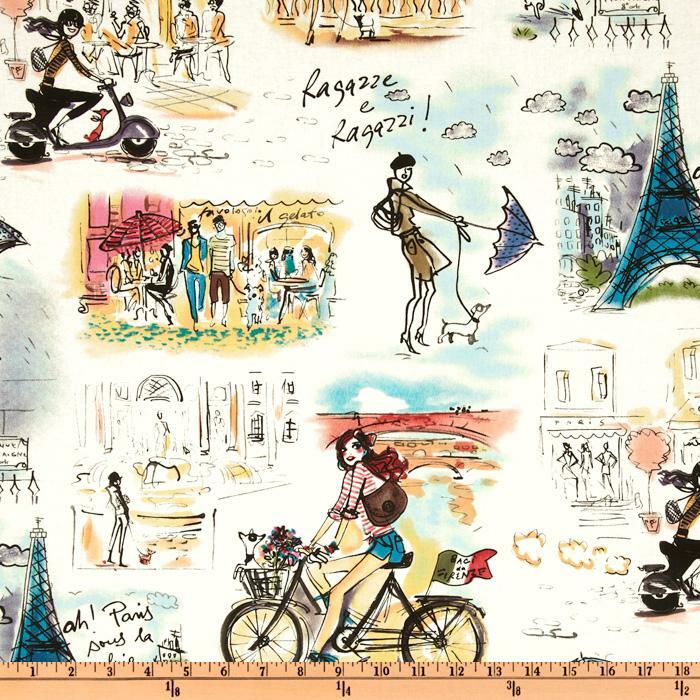 Oh my goodness, my favorites are the top two esp that litter french girl riding the bike, looks like the perfect on campus outfit. I wish I could have the yellow couch haha! It's super cute. 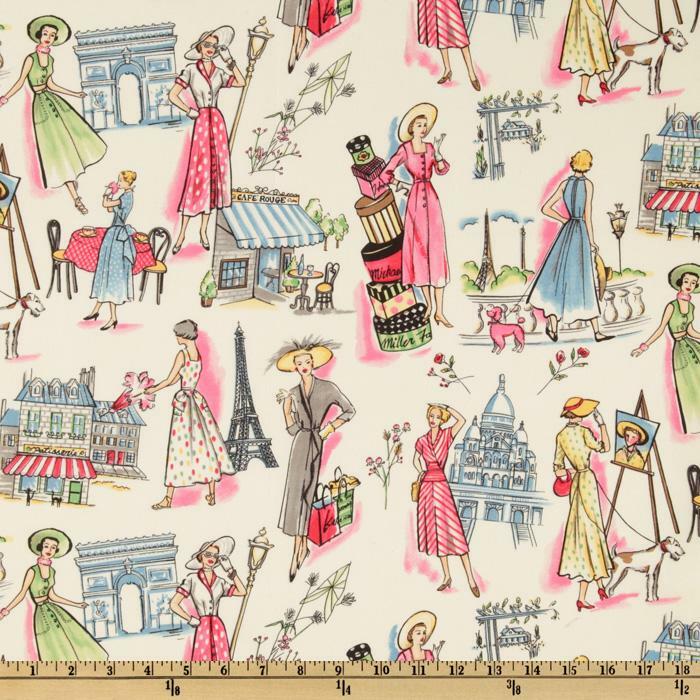 I love the little french girl as well, this fabric would make an awesome pair of shorts (trying to venture away from skirts and dresses for now).